Another month, another edition of Run It! While spring may be inching closer, there’s still plenty of winter weather yet to come. This month’s Run It offers you advice on staying sane on the treadmill from six running bloggers. Whether you are maintaining your base or training for a race, the treadmill is an inevitable part of winter running for most runners. And most runners can agree that running on the treadmill is more boring than running outside – and at times, treadmill running is mind-numbing. 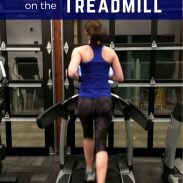 The confined space and repetitive pounding of the treadmill can lead to tight hips and poor glute activation, both of which make treadmill run quite uncomfortable. If you don’t already include dynamic warm ups as part of your training routine, spend a few minutes before a treadmill run warm up. Focus on mobilizing your hips and activating your glutes with exercises such as leg swings, walking lunges, and clamshells. Try one of these dynamic warm ups before your next treadmill run and you will notice the difference when you start. Music can help pass time on a treadmill, but the short nature of the songs can draw attention to just how little time has passed on your run. Audiobooks and podcasts will engage your mind for a prolonged period of time. Most podcasts range from 30-70 minutes, which is the perfect amount of time of most treadmill runs. Save your favorite podcasts for the treadmill, so you have a sense of novelty when you step on the mill. In my experience of coaching and my own running, you simply cannot compare the paces on a treadmill to pace outside. 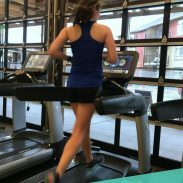 Some runners find that running on the treadmill is easier and go faster than they do outside, while other runners find that even their normal easy pace feels challenging on the treadmill. Since you are not actually moving forward and don’t see changing scenery, your mind’s ability to perceive effort is skewed. Don’t try to hit the same paces on the treadmill as you hit outside, whether you are doing an easy run or speedwork. Aim for the same perceived effort by focusing on your breathing and using the talk test. If you can hit the same paces as outside, that’s great, but don’t beat yourself up if you end up running slower overall. 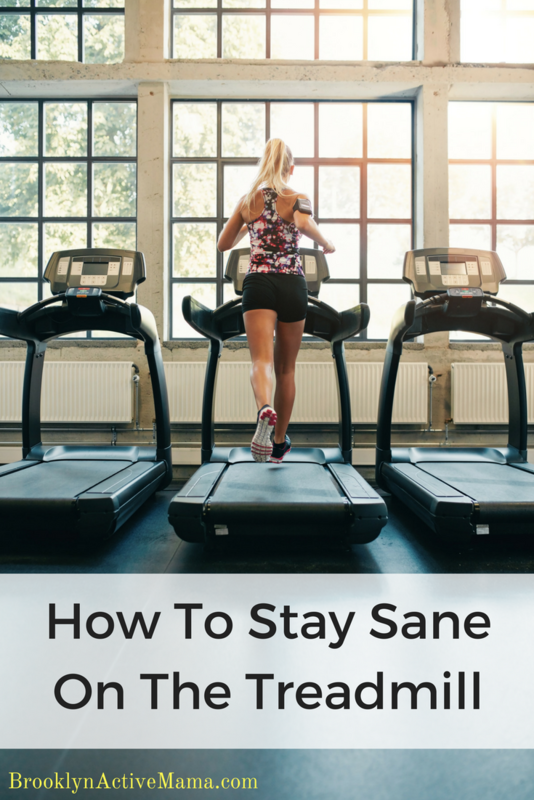 Of all these strategies, I have found this one the most effective for staying sane on the treadmill: vary the incline. Even if you live in the flattest of flat areas, you likely experience some variation of incline. The change in incline is often what makes outdoor running interesting when compared to the treadmill (along with the change of scenery). You also use different muscles to run uphill versus downhill, so changing incline provides physical variety as well as mental variety. Reducing the sensation of tight and overworked muscles will also help you stay sane on a treadmill run. Running on a completely flat treadmill can also increase your risk of injury, due to the repetitive pounding or poor muscle activation. When running on no incline on the treadmill, many runners fail to properly activate their glutes and end up relying more on smaller muscles such as the calves. This can lead to muscle fatigue or injury over time, so in addition to activating your glutes, vary the incline on the treadmill to decrease the repetitive pounding and use your glutes. 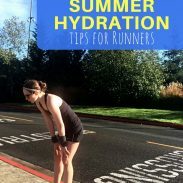 You don’t have to set the incline for anything extremely steep; simply vary the incline every few minutes between 0-2%, if you are accustomed to flat running, or between 1-5%, if you regularly train on hills. Unless you are gifted at zoning out while running on the treadmill, starting a treadmill run with no more of a plan than how many miles you want to run can set you up for boredom. Even if it’s an easy run, have a workout plan of sorts – maybe it’s changing the pace every few minutes while staying within a certain range or adding a hill in at the end of each mile. A plan will mentally break up the run and give you something to do if you can’t just plug the pace and chug away for an hour. 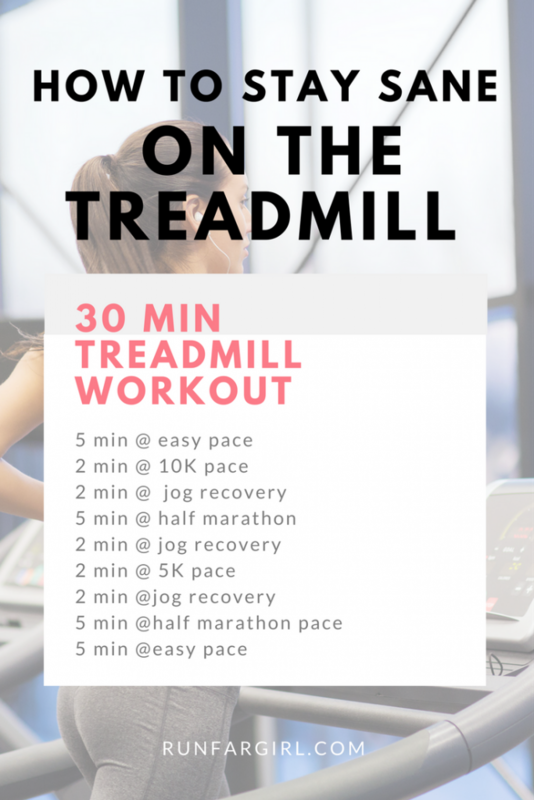 Try one of these treadmill workouts for runners or this easy treadmill run workout to beat treadmill boredom, depending on what your plan calls for that day. 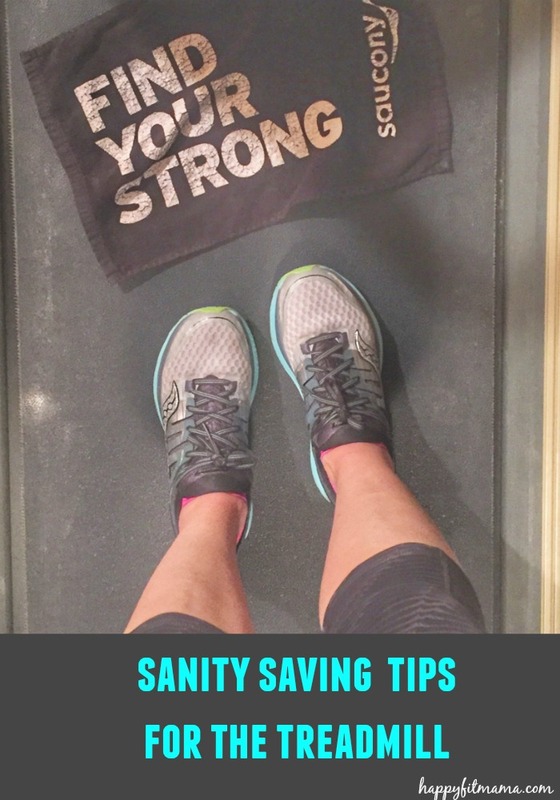 What helps me with staying sane on the treadmill may or may not work for you – which is why you can find treadmill running tips from these five other running bloggers as well! Brooklyn Active Mama offers her tips for staying sane on the treadmill all winter long. Vita Train for Life has spent this winter training for a Cuba triathlon on the treadmill, so she knows her treadmill running! 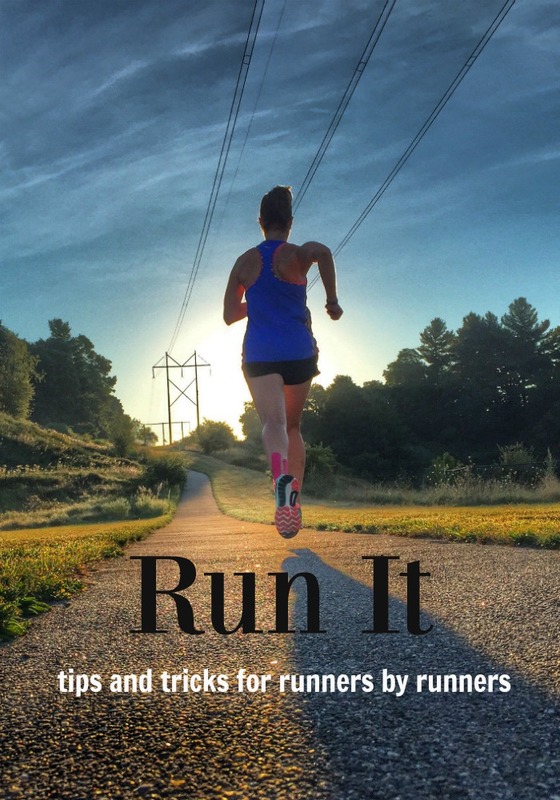 Run Far Girl has a fast-paced treadmill workout to help you stay engaged while running indoors. Fine Fit Day will motivate you to not let treadmill boredom get the best of you! Happy Fit Mama is training for a marathon during a New England winter, so she knows how to make the most of a treadmill run! Do you prefer to play with speed or hills on the treadmill? Great tips! I always make sure to have entertainment for treadmill runs. I dont listen to music when I run outside, so its a nice change to have it on the treadmill. I also turn on the TV if the treadmill I am running on has one. All those distractions seem to help the time go by a little faster. Entertainment is a must! Music is a novelty on the treadmill when you don’t run with it outside. Switching it up is key! I’m a big believer in changing the incline–keeps your body from getting bored, too. Body boredom is real on the treadmill – and makes the mental boredom so much more unbearable! Yes to adjusting expectations for pace! It truly is so different from running outside. For speed work I always forget the treadmill seems a little easier for me and have to pick up the pace halfway through my workout to get the same training effect I would outside. The lack of changing terrain and wind resistance makes a huge difference in what feels like a hard pace! This is all spot on! My friend Tammy just ran her first half marathon and she didn’t do as well as she’d like because it was tough to train through the winter and she hates treadmills. So I am going to direct her to this page! It’s perfect. Thank you! Running a race after training on the treadmill is so rough. My hardest half came after a winter of treadmill training. Good for her for sticking through it! I can only do interval work on the treadmill. And I like it. It definitely makes the time go by faster. 30 minute equipment rule? That’s so short! I bet the indoor track does help significantly in preventing boredom and breaking up the workout. I do like variety on the treadmill. Workouts that change the incline or speed make the time fly by. The more variety, the better! Having a plan for the treadmill and not having the same pace expectations are good reminders because I can be way too impatient on the treadmill or feel like I’m going so slowly. Treadmill workouts are also really fun! 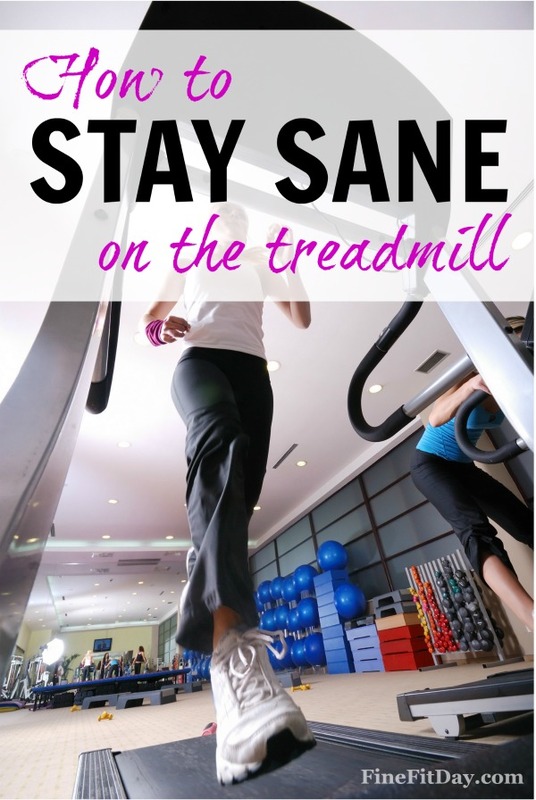 A good treadmill workout can be fun and overcomes that feeling of going too slowly! Hip mobility, as you know, is so important for runners! I love switching it up on the treadmill. I listen to music for all of my runs, but may also start listening to podcasts. Podcasts are great because they are so well timed for a treadmill run – most are 30-60 minutes which is perfect! Varying the speed and incline are essential for boredom busting treadmill run. And I feel that treadmill running is way easier than outside. I have to adjust accordingly when it comes to speed workouts. 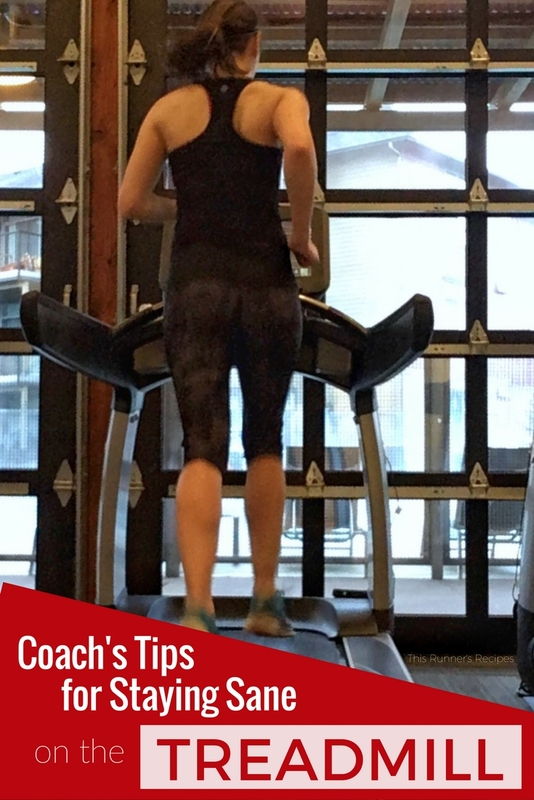 Speed workouts are tricky to pace on the treadmill, especially if you live in a hilly area! There’s nothing more demoralizing than not being able to maintain pace on the treadmill. But one of my clients LOVES the treadmill and can run so much faster indoors than out. I actually prefer to run at a level 0% because my normal routes are so hilly that easy miles on the treadmill are kind of a welcome change every now and again. I bet it is a nice change for you to get in some flat running! 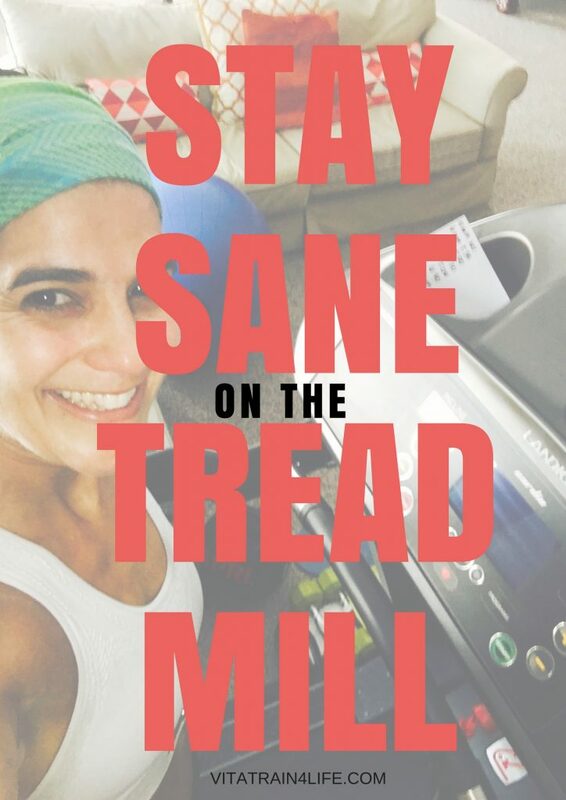 I’m not sure sanity and the treadmill really go together 😉 I have to add speed or hills about every half mile to convince myself to keep going! They are a rare and unnatural combination! The treadmill is good for mental strength at least!